A mechanic for your vehicle is a critical service for the maintenance and repairs of all vehicles on the road. They should be able to work with an extensive variety of car and truck makes (or they can master a specific make of automobile) and understand through knowledge and 'feel' what may be required when investigating a specific problem. For car repairs they must be able to diagnose an automobile's problem with accuracy and as quick as possible, no one wants to leave their means of transport with a mechanic indefinitely. Autogenics is a full service automotive repair and preventive maintenance center that takes car care very seriously. We are a leader in auto repair Markham and serve customers in Stouffville, Ballantrae, Pickering, and throughout the GTA. Our car and truck tune up and repair services are performed by highly trained and qualified mechanics servicing customers coming from many parts of the GTA. Not too long ago the idea of doing some of your own tune-ups and auto repairs in general was no big deal. Replacing the fan belt or establishing proper spark plug gaps is no longer an easy chore. Diagnostic equipment, EPA friendly supplies, compact engine assembly and more belts, hoses and wires than you can shake an oil can at are the norm now. Now, a top auto repair shop needs the savviest of mechanics and wi-fi as well. Gone are the days of working with impact resistant parts and easy to access areas. Lightweight parts of plastic and metal that will give way to any type of forced energy and we won't even mention the spectre of short-circuited boards that have essentially crashed. Leave it to the pros, it's your best bet. Our success depends on your repeat business, we will do everything we can to make your automobile care the best it can be. 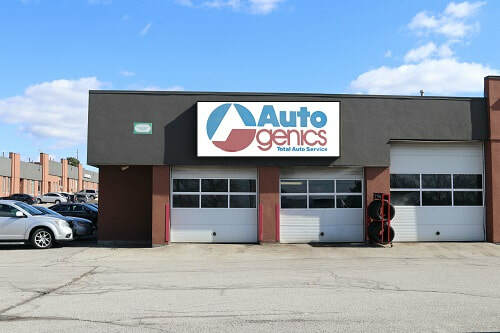 Whether you need service for brakes, your suspension system, alignments and steering, tires rotation or balancing, fuel and exhaust systems, tune ups, oil changes, transmissions, windshield repairs and replacement, batteries, heating/cooling systems, electrical, air conditioning, diagnostics, restorations, inspections, you will come to trust Auto Genics here in Markham! We work on motorcycles all the way up to mid-sized trucks. These services are immediately available when you call. We'll get you in quickly and done while you wait. Oil changes are a necessary service your vehicle requires on a timely basis so that you do not put your car's engine at risk. Every 8,000 kilometers for an oil change is the suggested time for most cars but check your manual to be sure. Our auto mechanics know the importance of proper oil changes and lube jobs as well as proper tread wear patterns and wear and tear in general. Your car's air conditioner giving you the old 'warm shoulder'? As a full auto mechanic Markham service provider, we offer thorough testing of your vehicles cooling system and we do it accurately and promptly. Many people have a fear of cooling system issues but air total failure of your air conditioning is usually not a complicated fix. After checking for blockages, loose parts, and leaky valves we will only recommend service or repairs if absolutely necessary. If we are looking after your cooling system with regular checks, it's unlikely that major repairs will be required. So make it a habit to maintain your air conditioning system along with other important working parts of your ride and we'll keep everything running smooth. We provide A/C recharges; it's fast and is not excessively expensive. Recharging your cooling system will usually give you better cooling performance than you may expect and that's welcome on extremely hot days which we seem to be getting more and more of. When recharging, we may find other small issues that are easily fixed and guarantee your comfort for the season. Auto Genics Markham and our technicians are completely familiar with the responsibility of looking after fleets and leased company vehicles; we've been doing it since fuel injection was first introduced into cars (GM called it Throttle-body Injection back then), Fleet Auto Service requires excellent organization and we know service dates must be maintained throughout the year. If you want the comfort of knowing your vehicle fleet service is all top shelf, that vehicles have received timely oil changes and tuneups, and will always be ready for return, call us. We'll explain the responsibility and the requirements for our professional service, and our guarantee of performance and your satisfaction. All FLEET CARDS and MAJOR LEASING CARDS are honoured by us. ​Summer is finally over and unfortunately winter is fast approaching. Now is the time to prepare your own car for the cold season. The first thing you need to know is, in winter, according to most auto associations, it is far more common for cars to break down than any other part of the year. Most of these breakdowns could have been avoided if a thorough winter check had been carried out in advance, and the car or truck owner had taken some precautions to make their car winter proof. So, if you follow a few tips, give your vehicle the care it needs and deserves, it will be a lot more comfortable and enjoyable through the winter. Winter tires: Is my tread depth still sufficient and are they still creating the grip needed for safe travels? ​Winter tires are specially designed for wintry road conditions, ie; low temperatures, freezing surfaces and icy conditions, slush and snow. In Canada, winter tires are demanded when winter road conditions prevail although they are not mandatory. You should be seeking tires that have softer, stickier surface with tread depths approaching 4mm’s. In addition, you should never use tires that are older than ten years, they lose their benefits over time and their ability to provide safety will be overestimated. Therefore, you should order new winter tires on a timely basis. We can help you navigate the world of tires. If you are planning to travel in the winter, and snowy hilly conditions are in the forecast, you might even wat to consider snow chains on your vehicle in order to be prepared for safe driving in that situation. Can I rely on my lighting system? ​Of course, an intact lighting system at any time of year is extremely important for driving safety. However winter possesses greater danger as darkness involves many more hours than summer. The daylight can last from 5am to 10pm, whereas in winter a December day can be from 7.30am to 4.40pm, which obviously would require much more driving lighting than average. So bulbs, connections and battery should be inspected and maintained as part of winterizing. It’s the only way to guarantee a safe drive through the winter. Are my windows ready for the winter? ​Windshield wipers wear out quicker than you think. You need to have wipers checked and upgraded where necessary since the compounds in the blades can age and become useless. Some blades have ice protection and other safety measures so consider upgrading if possible. Something as inconspicuous as an ice scraper is enough to make driving a lot easier on a winter's day. At the same time, always keep a pair of gloves in the car in case you aren’t wearing any. In a situation where you need to go outside and clear some snow, or scrape a window, you will be grateful you did pack them. Another window trick for the winter is a windscreen ice shield, a foil contraption that may stop ice and frost from forming while you shop or visit friends. Frost forms quickly, be ready. 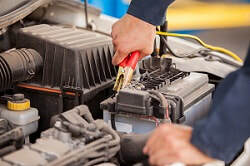 ​The car battery is provides all of the power to the car to get it going. 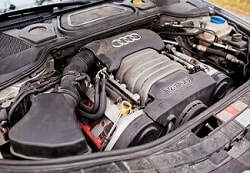 But it also maintains power even after the engine is running through the engine’s power generation. If the battery fails, eventually the car will stall out. Batteries seldom last more than five years and should be examined before winter (cold weather is hard on batteries), to make sure the charge is strong and the life in the battery remains a certainty. Older batteries can suddenly fail and it often happens in the winter when cold weather is persistent, usually leaving you stranded. To avoid this winter annoyance, you should check before winter for car battery issues and make sure you are driving safely with the knowledge that your battery will probably not let you down. Start closer battery maintenance if your battery is more than four years old. Since a significant part of the mishaps that occur in winter are due to a failing car battery, this is a key point when it comes to winterizing your car and preparing for the cold season. Do I have the right antifreeze for the car? ​If ice forms in the car's cooling system, engine damage will result. Therefore, it is advisable to have checked whether you have sufficient antifreeze in the pipes and that it is properly rated for the impending cold weather conditions of our area here in Markham. This is part of our winterization program as most people do not feel comfortable checking engine antifreeze levels and determining best products fro the car. You can however, feel comfortable maintaining proper antifreeze levels for your car’s windshield and headlights. Get the coldest rating available. Windshield antifreeze is also a better cleaner than just water so you will enjoy brighter views. ​Check us out for the best winterization service and all of your winter needs. Even if we don’t have the part you need, we can have it here in a flash and you will not be inconvenienced at all. Ask for any discount offers available such as 4 for the price of three tires and other savings that may be available. are winter tires the law? According to Transportation Minister Steven Del Duca, the province has not and will not mandate winter tires or 'snow tires' in the near future. Instead Ontario will utilize resources to educate and inform people on winter driving, safety in winter conditions and encouragement with regard to using snow tires for better traction. There many types of tires for cold conditions and Auto Genics will fill in the gaps for you as well as provide options and great pricing for outfitting your vehicle. Our Experts Provide The Following Services Year-Round. Comprehensive inspections are necessary for ownership and ownership transfers. It's always good to know the state of your potential vehicle's condition. State of the art diagnostic equipment is no longer optional. We use the most up to date diagnostic software allowing us to assess any issues your car may be dealing with. Performance upgrades are serious business. If you are looking to upgrade or change how your car performs, let us help you through the maze of options and products.